PK3 students enjoyed a wonderful Friendsgiving celebration with their 2nd grade reading buddies. The gathering was planned and set up entirely by the PK3 students. Throughout the process, they worked on important literacy and math skills such as print concepts, measurement, and one-on-one correspondence in a way that was authentic and meaningful. The children created the invitations for the event, painted and set up the table décor, made the place cards for each guest, followed recipes to prepare the food, and worked together to set the tables. 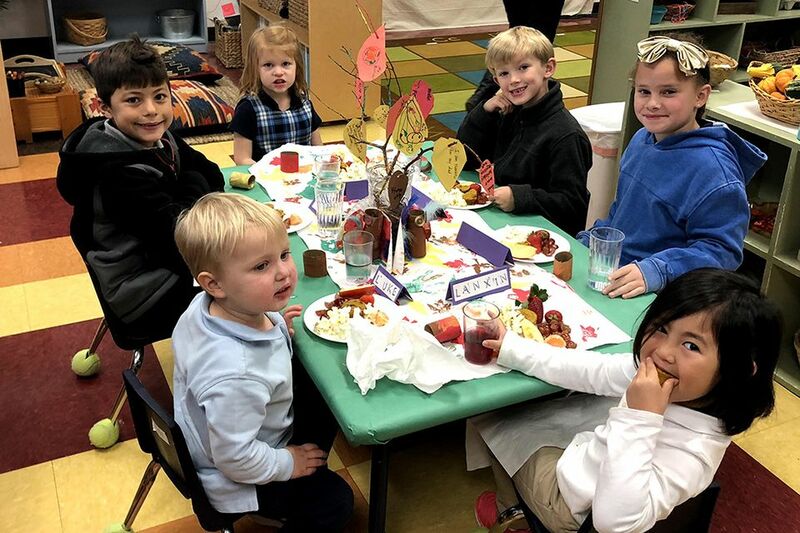 In preparing for their friends, the PK3 students also learned about the characteristics of a good host or hostess, such as how to greet your guests, showing guests to their tables, and helping them feel comfortable and welcome to the party. All of their efforts created a fun and memorable gathering!